Good evening, dear readers! I hope this post finds you well and you have been having a wonderful week thus far. 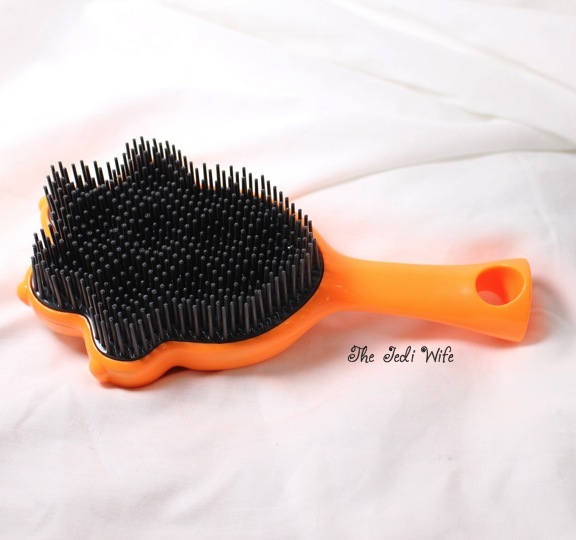 For tonight's post, I wanted to share with you a fun hairbrush find from CosmoprofNA: Tangle Angel! 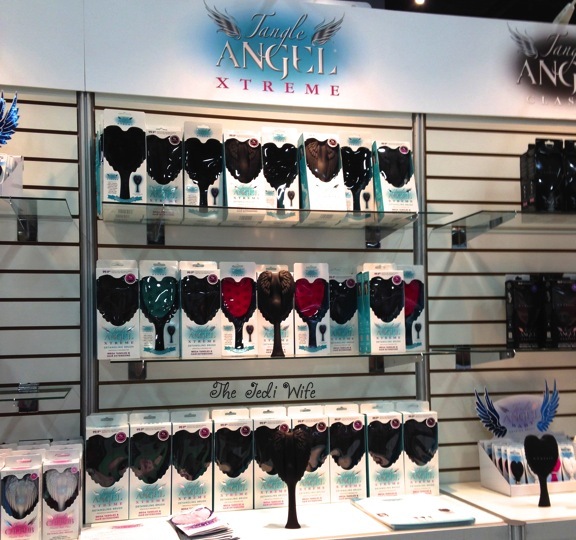 In spite of me having really short hair, I was really drawn to the Tangle Angel booth. These brushes are shaped like angel wings above the handle, and I just had to check them out! The Tangle Angel is the new professional detangling brush, heaven sent to gently tease away tangles tresses with elegance and ease. With heat resistant, anti-bacterial and anti-static properties, the Tangle Angel is stunning to look at, suitable for al hair types and has a range of unique built-in technologies to keep hair smooth, silky, tangle-free and clean. Naturally, my first question at the booth was "why an angel?" The brush is designed to be beautiful, but the angel wings actually serve a second purpose: rather than holding the handle, you can hold the brush around the wings for greater control and manageability. I remember grasping brushes when I used to fight tangles in my long hair years ago, and I like that this design is more ergonomically friendly. The Tangle Angel has specially developed antibacterial additives embedded in the plastic to make it hygienic and safe to use. For those of you that are not aware, prior to blogging, I was a microbiologist in a former life. 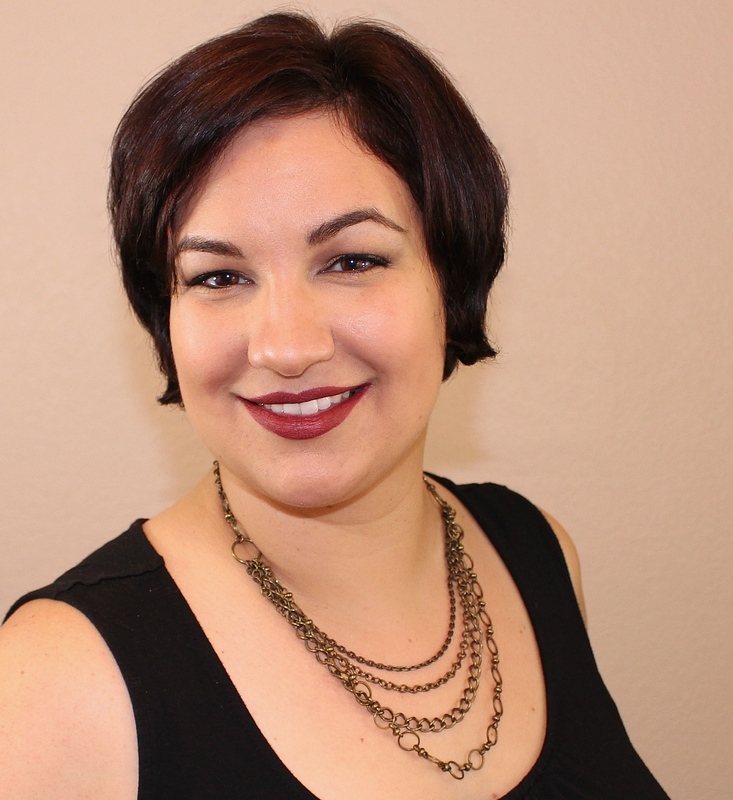 Hair is more bacterial-laden than people realize, and the tools we use are usually pretty gross. I was really interested in the antibacterial claim and did more research to verify the antibacterial claim was in fact true. It actually has been independently tested using a standard test that evaluates antibacterial activity on antibacterial-treated plastics. The Tangle Angel is suitable for all hair types and is great for children's hair. The original Tangle Angel is 182mm, and there is a smaller version at 150mm called the Tangle Cherub. This smaller version is ideal for children's hair, travel, or just tossed in your handbag for when you are on the go. The first photo in this post is of the Tangle Angel Extreme. These longer brushes (230mm) use the same technology of the original Tangle Angle but comes with longer, denser bristles and an extra large head for tackling extreme tangles and hair extensions. 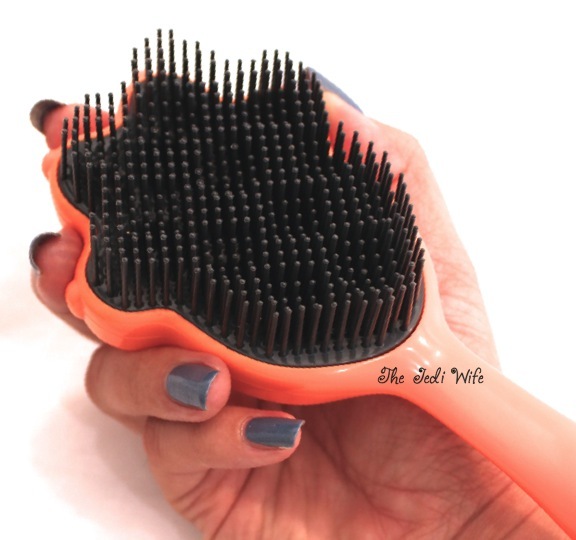 It also has a lengthened handle which makes brushing longer hair easier. Not pictured is the Tangle Angel Baby, a miniature 83mm version that comes on a keyring for on the go detangling. Because I have really short hair, I am obviously not the ideal candidate to try out the Tangle Angel. I do, however, have a couple pets at home, and I got to try out this Pet Angel Mini on them! 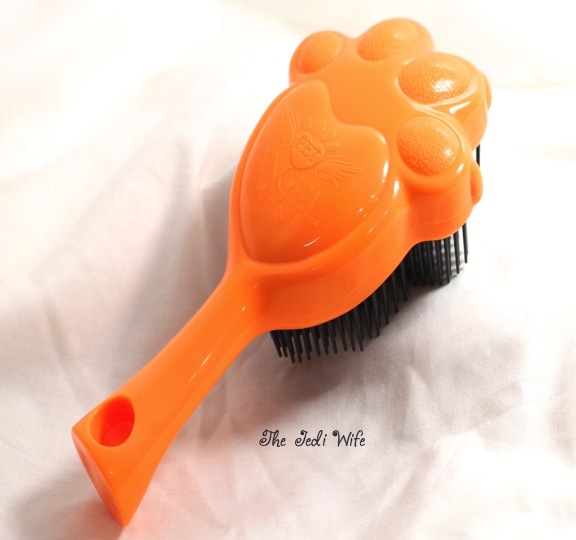 The design of the Pet Angel Mini is similar to the Tangle Angle in that it has a flared-brushhead that is easy to grasp in addition to a handle. 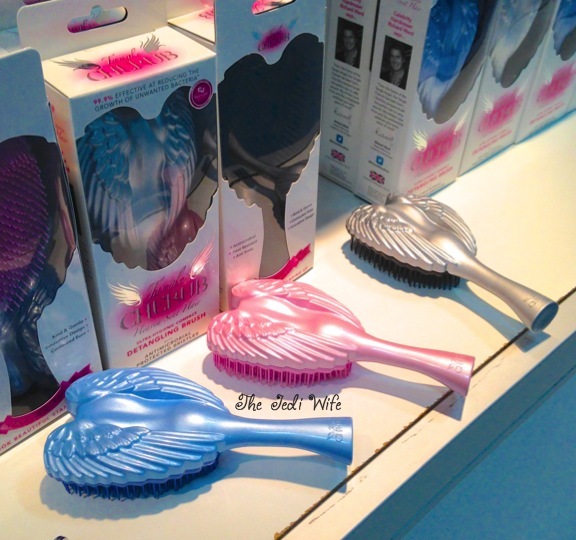 The bristles are designed the same but are a little firmer in the Pet Angel. When it comes to brushing my pets, I need to hold onto the paw so I have greater control. Neither my cat nor my rottweiler mix are fans of being brushed, and this makes it easier for me. The Pet Angel Mini is 156mm and there is a larger Pet Angel at 195mm. I like the Mini version because I can use it on both my pets (one small and one larger), and the Mini reaches some of my dogs harder to reach areas better than a larger brush. I really liked checking out the Tangle Angel Booth, and I love that they have products for both people and their fur babies! Have you tried a Tangle Angle? I'd love to hear your thoughts!